Quick summary: Students will learn about Hydro Tasmania’s history and transform an information text into a timeline and poem. Students will develop skills in reading, comprehension, creative writing and textual transformation. Recognise high-frequency sight words (ACELA1486). Read an increasing range of different types of texts by combining contextual, semantic, grammatical and phonic knowledge, using text processing strategies, for example monitoring, predicting, confirming, rereading, reading on and self-correcting (ACELY1679). Incorporate new vocabulary from a range of sources into students’ own texts including vocabulary encountered in research (ACELA1498). Resources required: Power into Poetry – Information Sheet, Student Worksheet (one copy per student OR computers/tablets to access the online worksheet). Keywords: Energy, hydropower, poetry. Hydro Tasmania. Overarching learning goal: By participating in this activity students will develop skills in reading, comprehension, creative writing and textual transformation. Thought starter: What rhymes with 'energy'? 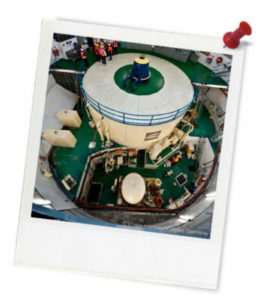 In this activity you will be using an information text about Hydro Tasmania to create a poem. 2. Read the separate Power into Poetry - Information Sheet. As you read, your teacher will help you to define the tricky words numbered i to xii in the vocabulary table below. 3. In the Poem Ideas table below, write down a few interesting details and events from the Power into Poetry - Information Sheet. 4. 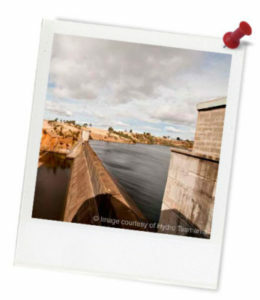 Use some or all of these details to write a poem celebrating the history of Hydro Tasmania. Write this poem below. 5. For homework, finish and polish your poem and bring it to class next lesson.